The Full Moon is an excellent time for looking ahead to get a glimpse at the outcome of what it is we're trying to manifest. The powerful lunar energy can shine some light on what we're empowering in our lives and help us see where best to focus intentions. Choose from a 30 Minute or 60 Minute in-depth reading using the lovely Tarot Mucha. 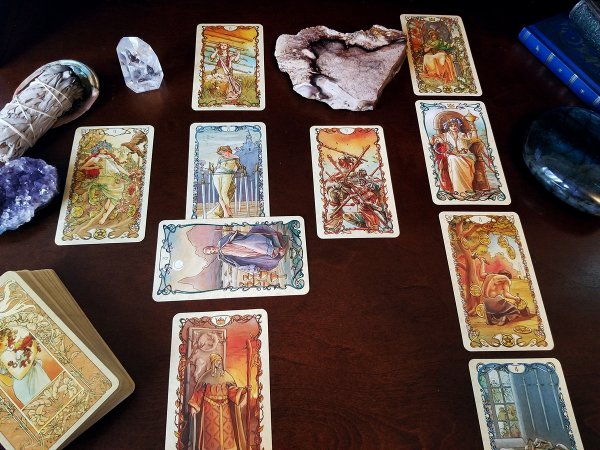 You'll receive explanations of each card and the messages Spirit is sending you, including pictures of your reading!